at 78 Amity Street, Kings County. The development was completed in 2018. 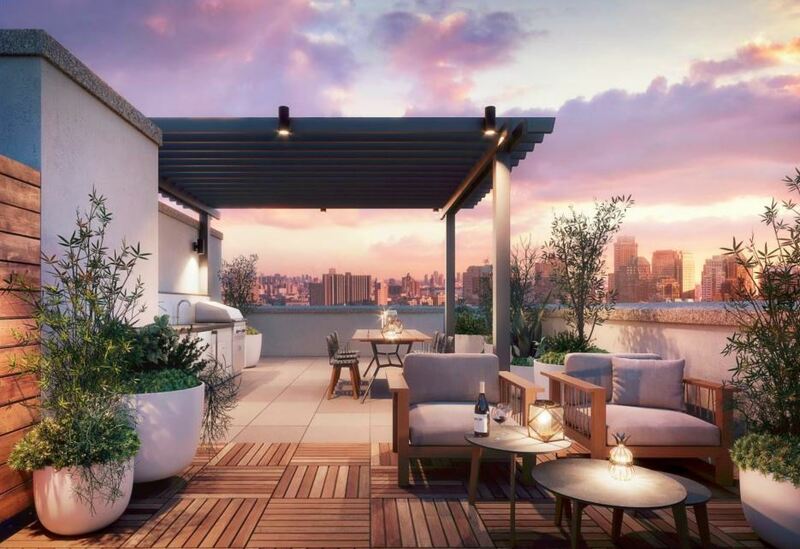 Sales for available units range in price from $2,125,000 to $3,350,000. The Cobble Hill House has a total of 27 units. Sizes range from 1303 to 1716 square feet. 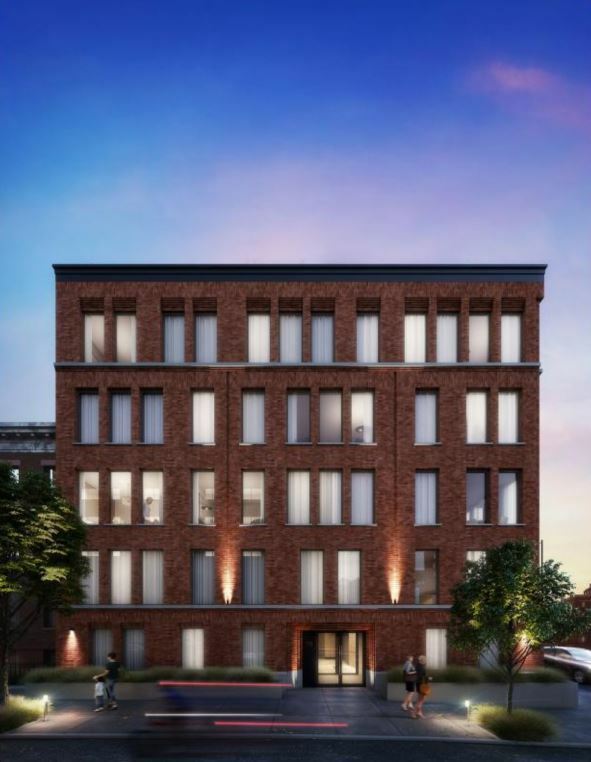 The Cobble Hill House is a new development proudly standing on the convenient corner of 78 Amity Street and Hicks Street in Cobble Hill, Brooklyn. 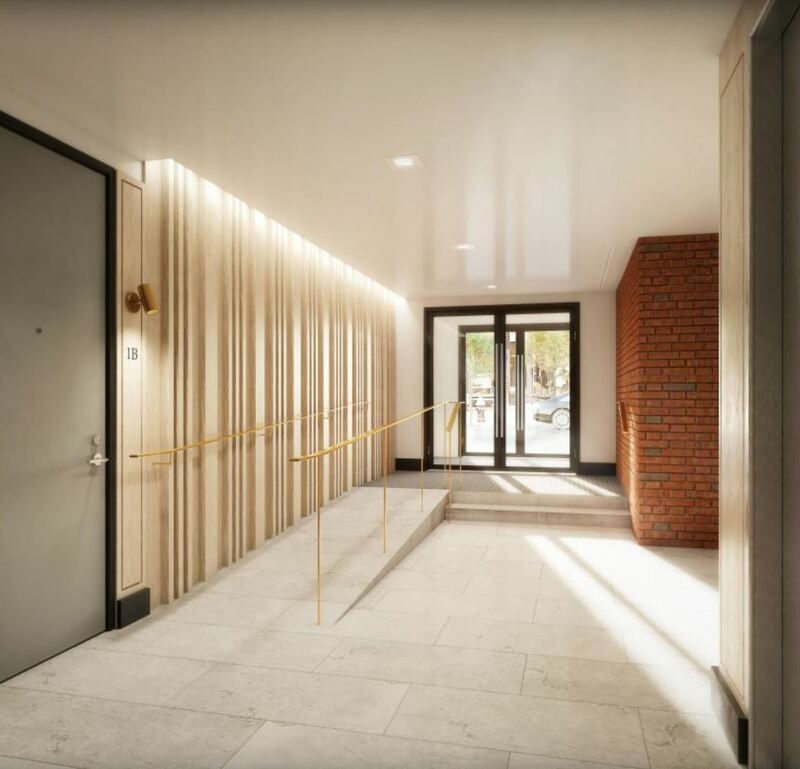 Drawing on the Heritage of the neighborhood, this five story ‘House’ has been designed to capture and celebrate the charming aesthetic of Cobble Hill and stylishly blend in with the nearby iconic Brownstone tradition. Taking cues from the architectural surroundings and the original vernacular of the past buildings, The Cobble Hill House brightens the neighborhood with it’s sunny new location and waterfront views. 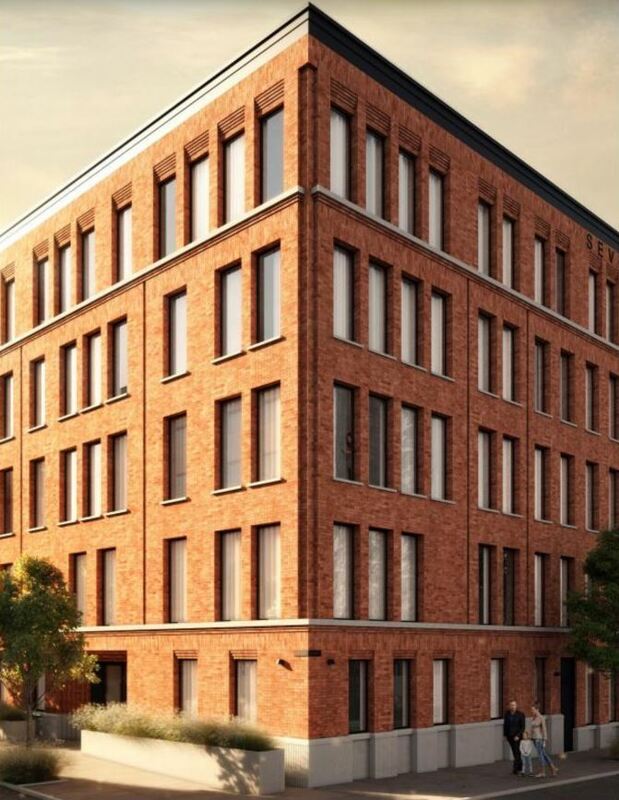 The façade, with its strong rows of brick and glass come together to evoke a monumental quality that at first glance feels familiar yet contemporary. 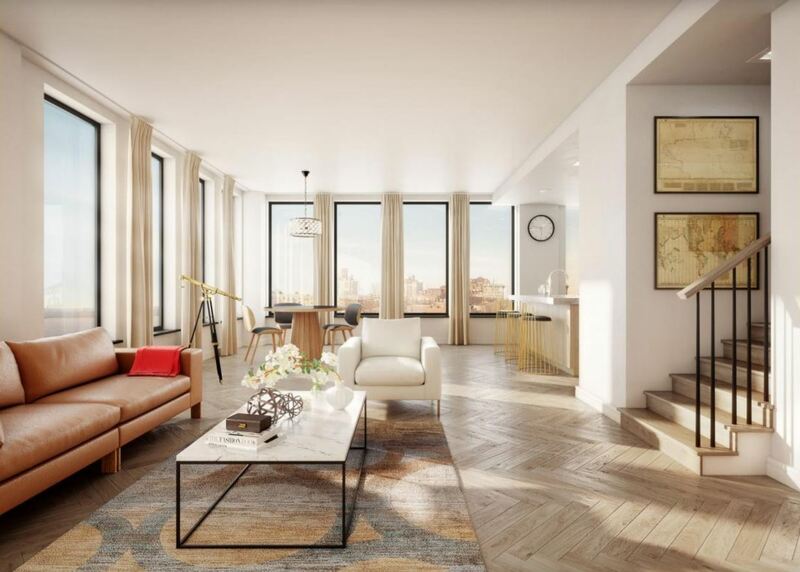 By contextually blending the modern look of oversized glass windows with traditional corbeling details, the expression of a thoroughly new classic façade honors the historic roots of a Cobble Hill townhouse parlor floor. 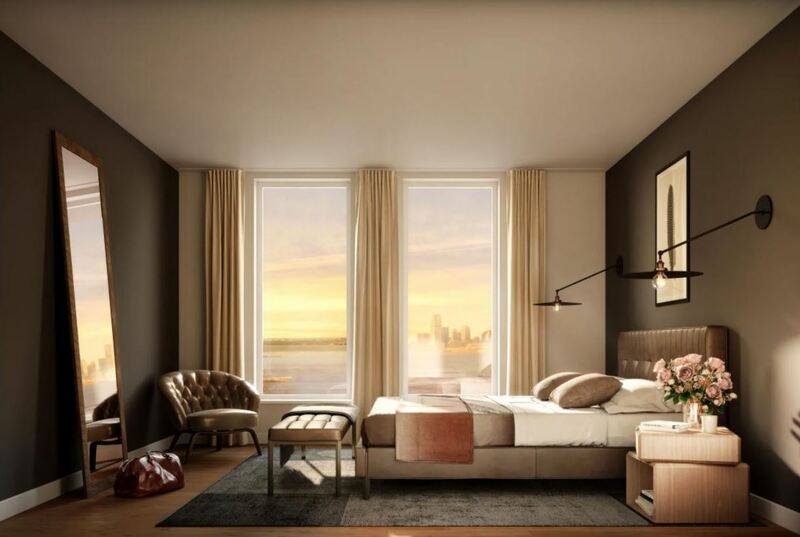 Designed in collaboration with the award-winning and Brooklyn based CWB Architects and interior design firm the Meshberg Group, this timeless new address offers a rare collection of beautifully imagined homes including one-beds, two-beds, three-beds, and dramatic penthouses. 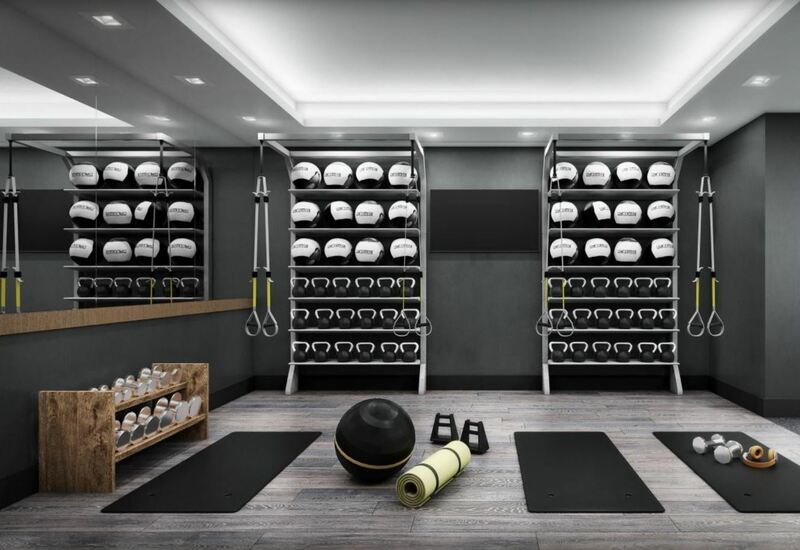 Every home includes an individual storage unit, the convenience of your own fitness center, a package room, a children’s playroom, and generous outdoor space throughout. The Cobble Hill House has been given every consideration to yield a high standard of build. 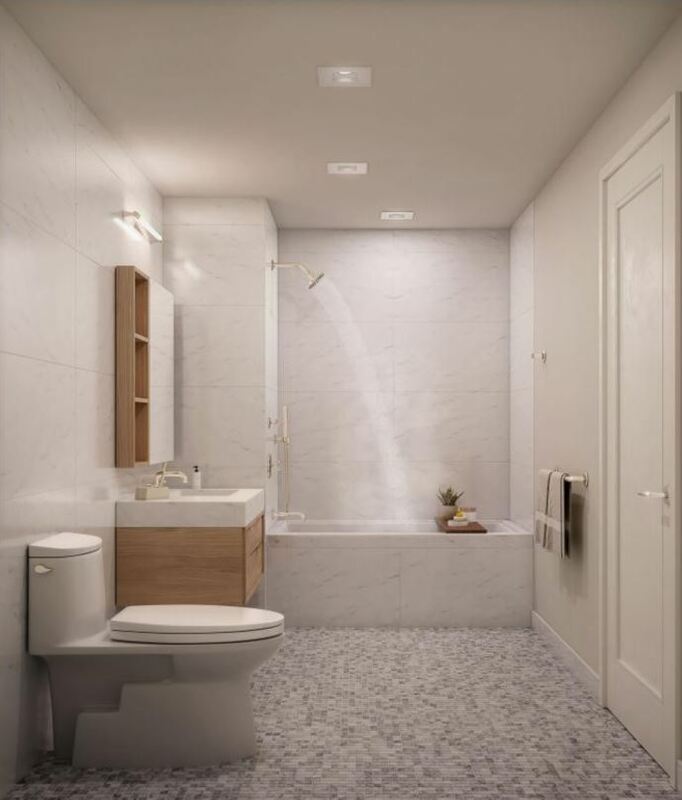 After the rigorous research, design, and development phase, all resulting homes look and feel luxurious with longevity in mind. State of the art full-size appliances, timeless materials, fixtures and fittings come with assured durability. 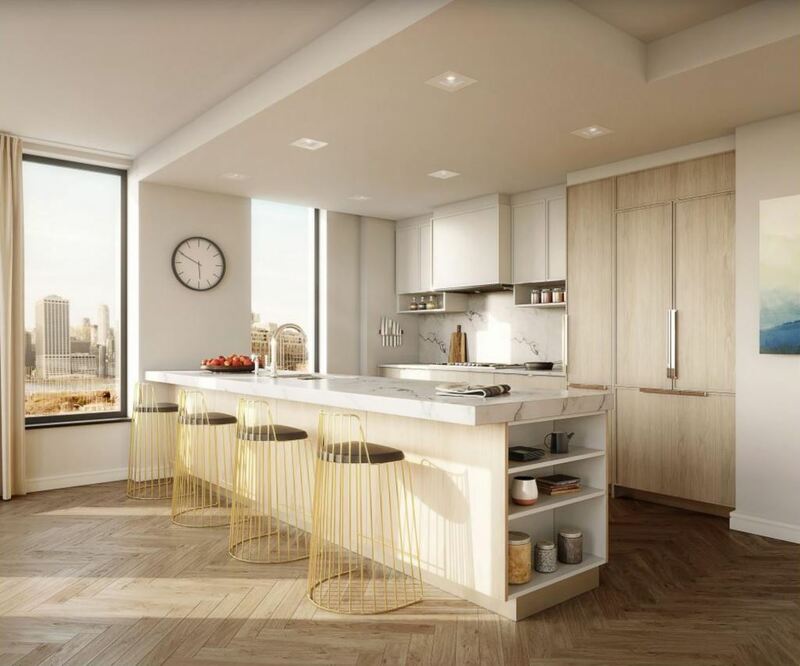 The unique contemporary units boast light-filled and spacious open plan living areas with custom designer kitchens, featuring a range of integrated appliances and luxury flooring. Designed for family living and entertaining. 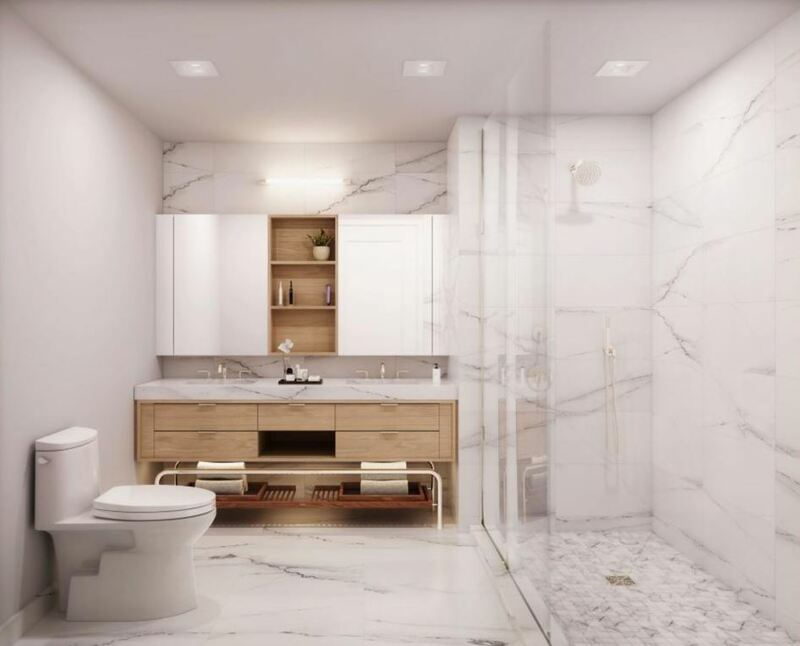 * All penthouses are designed with a staircase leading to your private rooftop terrace with gas, water, and electric connections. Our kitchens are designed and strategically executed for maximum ease and efficiency for a chef or foodie. Distinguished and thoughtful layouts create comfort for all parts of your life. 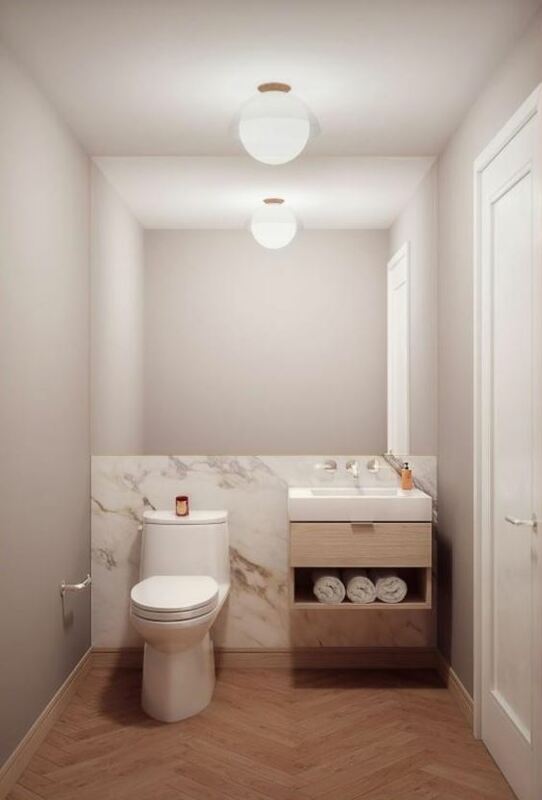 Classic marble bathrooms with custom mosaic floors and timeless materials used in a contemporary way with a rustic touch. 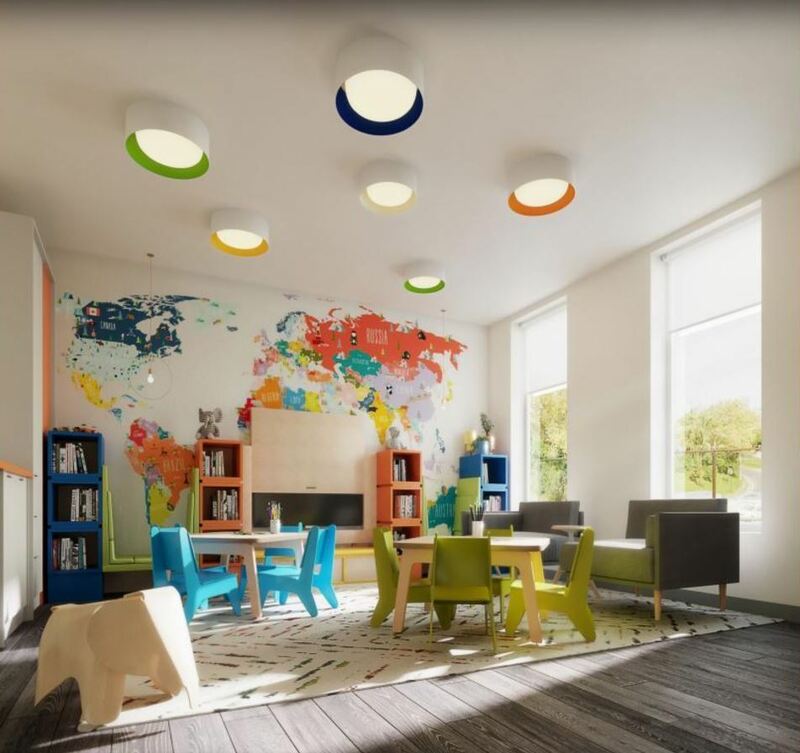 Perfect for company and comfortable for the kids. An elevated material showcase for guests. Perfect setting for your favorite pop color or wall covering. 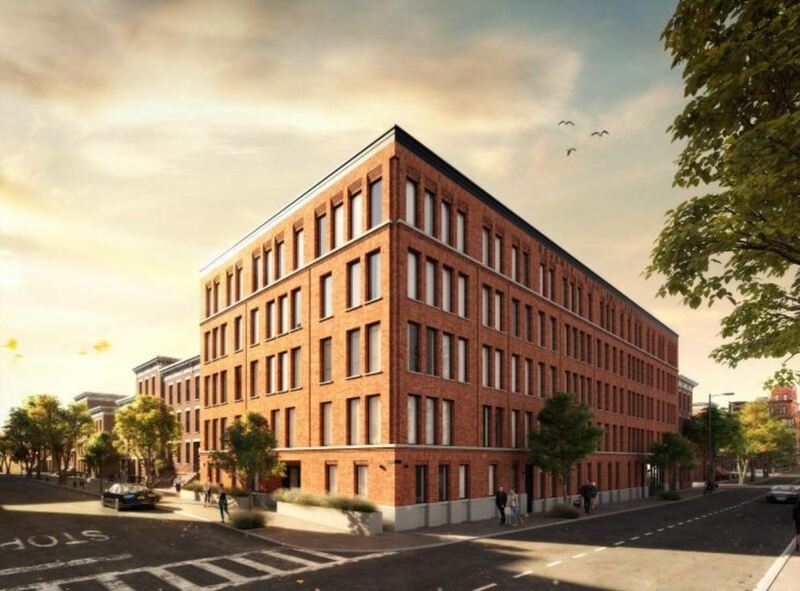 Your inquiry will be delivered to the The Cobble Hill House sales team, who will send you more information about this development.